Signature Slimming White Denim Ankle Jeans is rated 4.5 out of 5 by 10. Perfect with tops of all colors, these Signature Slimming white ankle pants are going to become your go-to pair. The tummy-taming panel delivers a look and fit that are spot-on. Rated 5 out of 5 by Pick from Just in time for spring! Nice pants. Always a risk buying online but happy with these. Rated 5 out of 5 by PBNH from Perfect white Jean! These jeans are the perfect combination of style , fit, and fabric. Love them ! Rated 3 out of 5 by GlammyB from Tight in the legs Signature Slimming has always been my go-to for CJB bottoms. These were a miss. I found these to be rather tight in the thighs. They looked more like jeggings on me than short pants. Last year, I bought a similar pair of Signature Slimming ankle jeans, but in denim material, and they had just the right looseness in the legs without being too wide at the bottom hem. If these were a bit looser in the legs they would have been be perfect. Rated 5 out of 5 by Lkat from Great pants for summer or spring These pants are comfortable. IK love the way they fit. I am in-between sizes so the size 4 works with a belt. I wish they came in size 2. The color will go with anything. They look good with a sandal, tennis shoes or heel. Rated 2 out of 5 by bollit from Disappointed I thought I had found the holy grail of white jeans until I wore them. I loved the fit nice high waist not too tight, not too baggy. I loved the fabric nice feel and not to heavy not to light. After wearing about 2 hours they wear so stretched out I looked like the saggy baggy elephant with miles of extra fabric in the legs and rear. Rated 5 out of 5 by Karen with a K from Versatile pants! 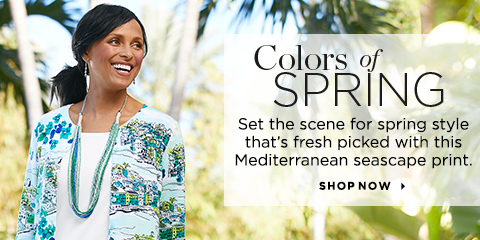 I have worn these several times and they brighten up your spring look easily! Can dress up or down. I had not purchased the “modern fit” before and was concerned about the inseam, but CB knows their customers and the fit is fine. I prefer the Classic, but will keep wearing these a lot throughout spring and summer. Rated 5 out of 5 by MoGram from Great ankle pants! Love these ankle pants. They fit great and look great. Can actually dress them up or down even though they are denim! Love them!